Two gaping wounds wait in the wings for Maltese and Gozitan landscapes. The twin entry/exit portals for a planned undersea road link between the islands stand to violate the visual environment on a scale few can yet imagine. First floated in the 1960s, the PN’s tunnel bid won out over the Labour Party’s notion of a bridge, on cost and maintenance considerations. Governments may come and go but they ride the same wave as far as the projected Malta-Gozo link is concerned. It’s touted as helping the community to lead a double-lane life, combining the allure of a rural settlement with better access to banal urbanity. A chunk of newly eligible voters may be shifted from their family’s traditional political base in the next election for the price of a ride to Paceville and back by Gozo’s first light of dawn. The tunnel will exit under Ta’ Kenuna tower and botanical garden. 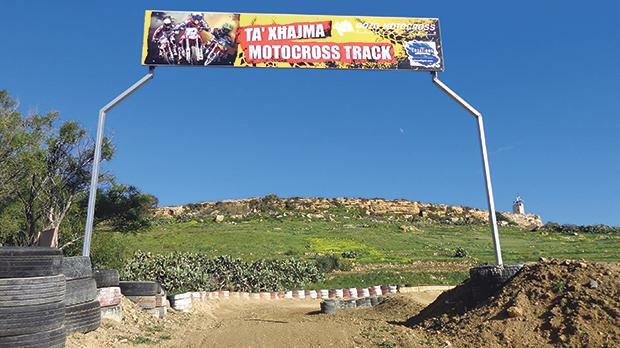 It breaks out in the middle of the Gozo Motocross Association’s modest track, in use for sporting events. Reportedly, the GMA has been offered an alternative (larger) ODZ location, as yet undisclosed. Arguably, the motocross track may serve to contain scramblers from ripping up Gozo’s clay slopes. Taking an environmental viewpoint, vacant quarries might make the best candidates for relocation. Not everyone on the GMA committee is happy about the forced move. Before the motorcar, the idea of putting a curve in a tunnel was to stop horses bolting when they see light at the other end of it. This one curves to run under Comino, avoiding a sharp turn at the exit for Victoria. Imagine tunnel vents churning out traffic fumes on Comino – not pleasant. At the Malta end, the tunnel is set to tear through the rural hamlet of Imbordin below Miżieb grove. A tranquil stroll along the southern edge of the grove is fated to become just another memory in the Senior Times newspaper supplement. Traffic noise will offend our ears at Pwales Valley as the present coastal route to Ċirkewwa ferry terminal is diverted inland to dive headlong, erupting in the middle of a field in Gozo. Starting from Marsaxlokk Freeport, the European TEN-T network stops at Gozo’s westernmost village. Europe doesn’t seem keen on funding a tunnel link. They’ve already committed €39 million for a planned overpass (about 85 per cent of the cost) to relieve the bottleneck at Marsa by 2020. Information surrounding the tunnel project has been sketchy from the start. Apart from the construction cost of boring beneath the seabed there will be operating costs: corrective maintenance, toll collection systems and ventilation. According to a 2012 joint presentation by Transport Malta and the transport ministry of the day, tolls from the tunnel would “cover operating cost with significant surplus”. To be financially feasible, the tunnel would need to feed off increased road traffic from both sides of the channel, in conflict with a transport policy aimed at a reduction in vehicles on the road. No wonder the EU isn’t keen. A tunnel risks coercing people to abandon public transport (bus/ferry) and use private cars to reach Gozo, creating even more traffic. How can a ferry service survive side by side with the tunnel if they are competing with each other? Easing the lives of daily commuters from Gozo to Malta, no matter the cost to their dear island, is the plan upfront. Behind the vote-catching façade is a lucrative Plan B. On its own, a planning application for a quarry at either of the portal sites would never see the light of day. Yet the tunnel provides a great excuse to start mining stone for land reclamation under the guise of the common good. 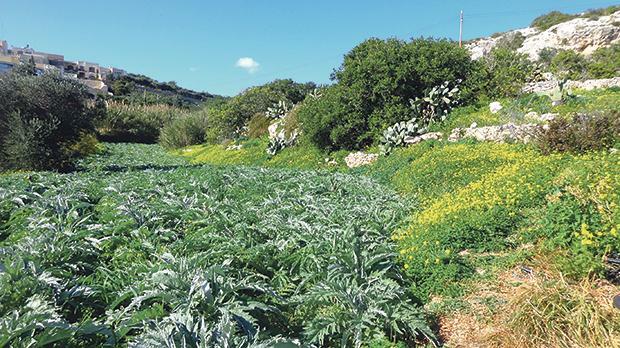 As soon as the digging starts, the immediate spoils of the projected island link will go into controversial coastal extensions, mainly between Xgħajra and St Julian’s. Infill of the scenic cove opposite Magħtab will add to this terrible assault on the environment. The chairman of AD, the green party, has described the tunnel plan as “an extraordinary solution”. It’s a clear indication that we live in extraordinary times. A Formula One racetrack, incinerator and crematorium are probably not high on the list of possible uses for the Dubai-style venture to reclaim land from the sea. Instead, visions of luxury apartment blocks float in our heads as development prospects mushroom seaward. I’ll bet my last jar of real Gozitan honey that the two ends of this technically complex tunnel project will never meet. Just another development ruse. And that 10-foot wall along the Attard bypass pavement? Unfit for a dog!